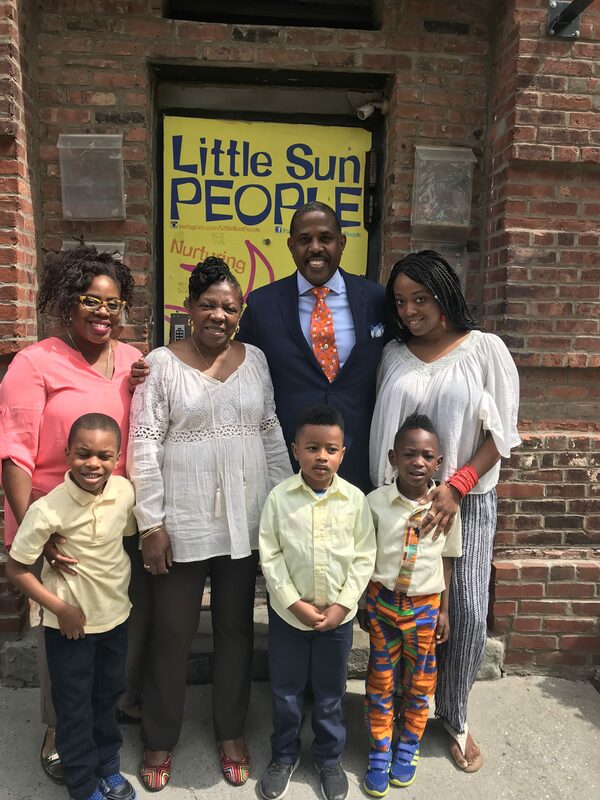 Fela Barclift, center, with State Senator Kevin Parker, parents and Little Sun People. To provide an excellent childhood education that particularly includes a well-developed curriculum imbued with cultural connections and important information relative to young children of color that will create a strong sense of personal identity, purpose and confidence at all times. This is the mission statement for Little Sun People, a prodigious child care center located in Restoration on Herkimer Street. Equipped with a robust curriculum, a child-centered environment and a faculty that leads with love, Little Sun People is a proven front-runner among preschools in our community, a special place that seeks to enrich not just the children, but to reach through the children into the community and the world.